The new model home is located in the latest release of homesites at Woodside: the Alpine View Collection, an enclave of 38 homes near Eaglemont Golf Course. 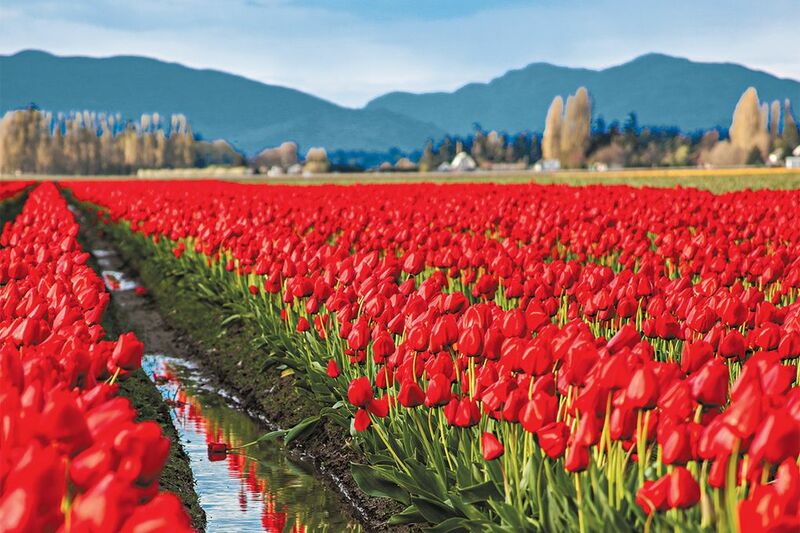 MOUNT VERNON — Landed Gentry Homes invites guests to visit its Woodside active-adult community this weekend during the Skagit Valley Tulip Festival. 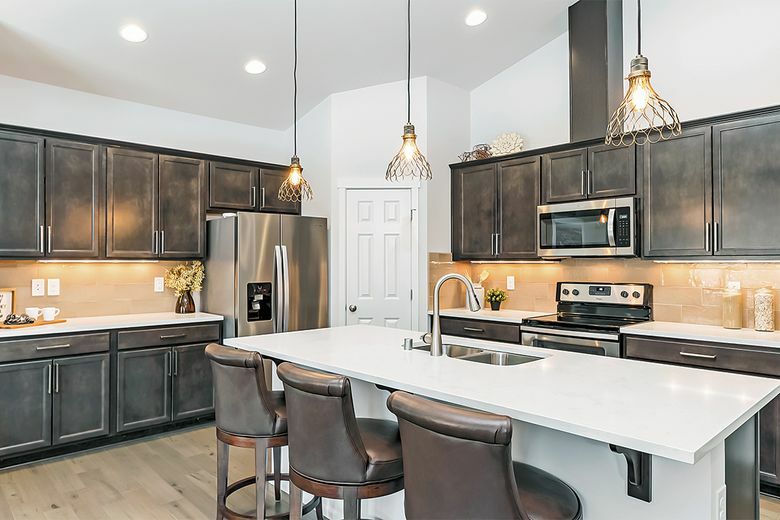 With each model home tour at Woodside during April, the builder is offering free passes to the Tulip Town portion of the festival, Decker says. The new model home is located in the latest release of homesites: the Alpine View Collection. Located within the 55-and-older Woodside community, this much-anticipated collection offers larger homesites, new roomier single-level home designs and nicely appointed interior finish packages. Those who tour the new model home at Woodside during April will receive free passes to the Tulip Town portion of the Skagit Valley Tulip Festival. 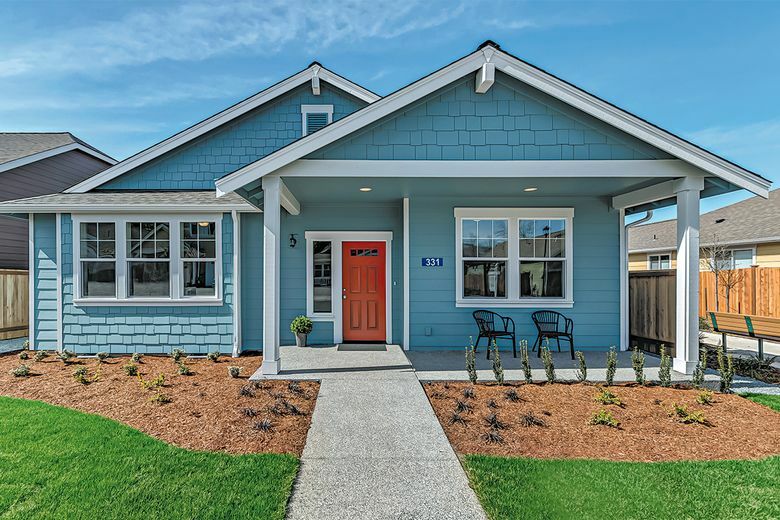 The builder is also offering new move-in-ready homes from its earlier release, starting at $399,900. The Alpine View Collection is an enclave of 38 homes near Eaglemont Golf Course. Homes offered in this collection are primarily single-level and range in size from 1,584 to 2,800 square feet. Each home features great room living areas, and a minimum of three bedrooms, two bathrooms and a finished two-car garage. Many of the home plans include dens and bonus rooms as well. A limited number of daylight ramblers bordering a natural wooded park will also be offered. The homes are stand-alone and include individual yard maintenance that is covered by the homeowners’ association. The new model home is the enlarged Sinclair design, with 2150 square feet of living space on a single level. It includes three bedrooms, a den and two bathrooms. The open concept offers a spacious living room, dining room and kitchen area with vaulted ceilings. The “king-size” master suite is on the opposite side of the house from the second and third bedrooms and den. Interiors include open layouts, vaulted and 9-foot ceilings, finished two-car garages, solid-surface countertops in kitchen and bathrooms, white painted millwork and engineered wood flooring. Homes in the Alpine View Collection are primarily single-level and range in size from 1,584 to 2,800 square feet. Buyers have the option of purchasing a presale home, in which they can select their preferred colors and finishes, or they can secure a home that is already under construction in Woodside’s earlier release, which typically offers an earlier move-in date. While sales are now underway in the Alpine View Collection, the last homes are available in the Woodside neighborhood with pricing from $399,900 to $439,900. Woodside offers several community amenities, including neighborhood parks, walking trails and a private lodge and commons park. Woodside is located near grocery stores and medical facilities. Charming downtown Mount Vernon is only 3 miles away and other area services, including Costco and Target, are a short drive away.